(TIFTON, Ga)- Small business owners from across Georgia came to the Georgia Museum of Agriculture Friday afternoon for the Rural Strong Georgia program. United States Department of Agriculture Georgia Director, Joyce White says the project will focus on rural development in South Georgia, such as rural broadband. 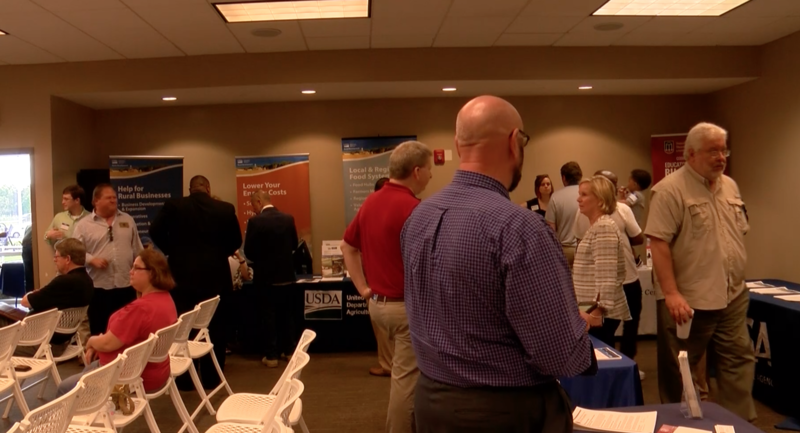 The Rural Strong project is a partnership between the USDA and the U.S. Small Business Administration, as small business owners got to hear from larger organizations, like Georgia tech and the University of Georgia. Regional Administrator Ashley Bell tells us the program will help small business owners break through the glass ceiling. “We’re taking the state piece by piece, taking our show on the road, and introducing rural communities to all of our programs to get people access to capital, counseling, and how they can participate in federal contracts,” says Bell. In addition to helping small businesses in Georgia, the Small Business Administration has bigger plans for Rural Strong. Bell tells us the Small Business Administration and the USDA plan to host another Rural Strong Georgia program in the Columbus area. Severe Weather POTENTIALLY threatens our area this weekend..